This VESA mount can be directly attached to any standard US double gang box (3.2" x 1.8"), or any European or international gang box (60mm). USB cables can be passed through the enclosure's rear thru hole - everything is kept nice, neat, and out of sight! 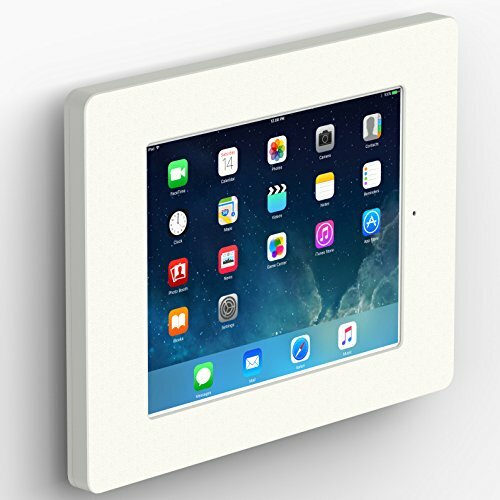 iPad/Tablet enclosure with compatible VESA 100 fixed wall mount. Wall mount has 0.6" [15.3mm] wall-to-enclosure clearance. Tablet is removable by loosening the VESA set screws - makes tablet portable. Clever cable management neatly routes all wires through rear center hole of enclosure, around the VESA wall mount. Block Power Button access by default. Use a paperclip to access Power button, or remove the power button knock out to fully expose the power button for easy access. If you have any questions about this product by VidaBox Kiosks, contact us by completing and submitting the form below. If you are looking for a specif part number, please include it with your message.